Shopping for Despicable Me / Minions Tin Totes? 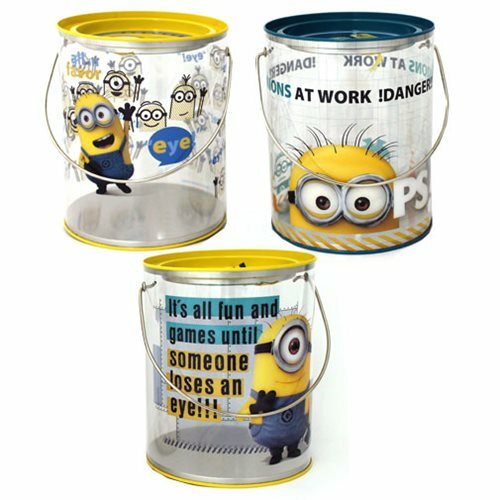 Based on the hit Despicable Me movies comes Despicable Me Clear Bucket Case. The set contains 3 individually packaged buckets featuring everyone's favorite Minion characters from the movies. There are 3 different designs! Measures about 6 1/4-inches tall x 5-inches diameter.